Ships used to have their rudders affixed to the right side, and this was the side they steered from. ‘Starboard’ is a corruption of ‘steorbord’ or ‘steer-board.’ In fact, the word ‘steer’ comes from the Old Norse ‘stýri’ meaning rudder. When pulling into port, ships approached with the land on their left side to avoid damaging the rudder. This is why that side is called ‘port side.’ It was originally called ‘larboard,’ derived from ‘load-board’ (the side you load cargo on), but they decided that the term sounded too similar to ‘starboard’ and changed it. When two ships crossed paths, the one on the right side had the right-of-way (hence the name). Since ships often passed in the dark of night, they needed a way to determine the location and orientation of other vessels. So, they afixed a red light to left (port) side and a green light to the right (starboard) side. If the red light of the other ship was visible, it meant that their left side was facing you, thus they were on the right, and that you should yield to them. If their green light was visible, then you were the one with the right-of-way. This is where we get our modern traffic signal colors: red means stop and green means go. This same color system is still used today on aircraft–look next time you see one fly over at night. Of course, port wine isn’t the alcoholic beverage most closely tied to the sea. For that honor, look to akvavit (sometimes called ‘aquavit’ in English-speaking countries). The name is derived from the Latin aqua vitae meaning ‘water of life.’ Norwegians produce a particularly unique variety, called Linie Aquavits. It was traditionally put in barrels and strapped to the sides of ships for transport. This exposure to the sea gives it a unique briny flavor. Today, they still send it to Australia and back just to give it that flavor. As much as I’d like to say that’s the origin of the phrase, it’s not. The first use predates nautical terms by a century; sailors just lifted the term and reused it. The degree to which it was contrived is unknown. However, a phrase that does have true nautical origins is “three sheets to the wind,” referring to a drunk person. While you might think that ‘sheet’ refers to a sail, it actually refers to ropes. Three of these restrained the sails on a fully-masted large ship. If all three were loose, the sails were fully in the wind, and the ship haphazardly rolled around, like a drunk person does while walking down the sidewalk. Similarly, the bottom corner of a sail is called the ‘foot.’ If the foot is let loose, the sail dances around in the wind. It’s footloose! Kevin Bacon starred in the movie Footloose, and you’re probably familiar with the “six degrees of Kevin Bacon” system. The idea, in case anyone is unfamiliar, is that Kevin Bacon has been in so many things that you can classify actors by how many ‘degrees removed’ from Kevin Bacon they are. (e.g. Susie was in a movie with Joe, who was in a movie with Tommy, who was in a movie with Kevin Bacon…three degrees). Less commonly-known is the ‘Erdős number,’ named after mathematician Paul Erdős. He co-authored so damn many academic papers that you can link most other authors to him by degrees. What’s really cool is that a small number of people have both been in a movie and published an academic paper, giving them a combined Erdős–Bacon number. 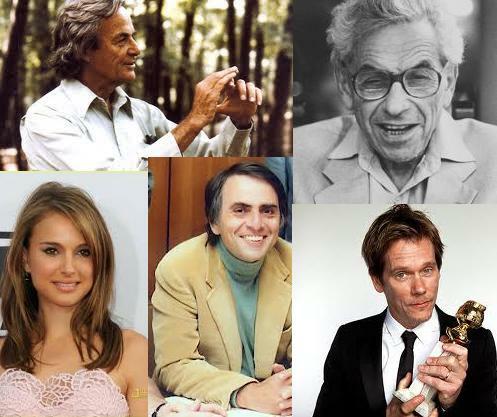 For example, actress Natalie Portman has an Erdős–Bacon number of 7. In fact, she’s quite accomplished academically. She missed the red-carpet premier of Phantom Menace to study for finals. The surname ‘Portman’ is also derived from the Latin portus. A ‘portman’ loaded ships.